Scott Tolleson’s pain gives us lots of pleasure! 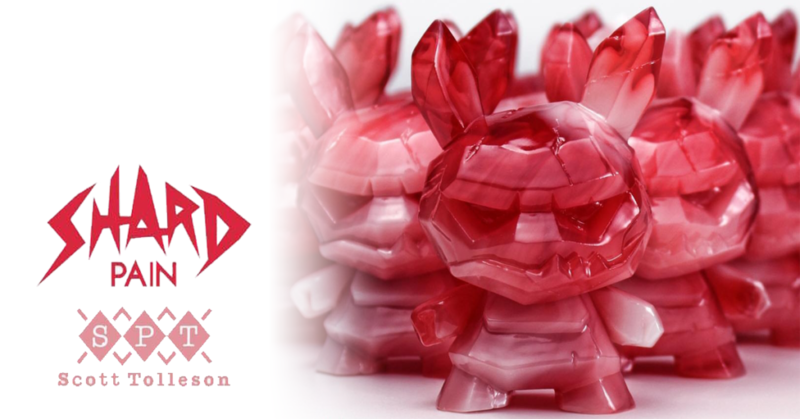 Just in time for Designer Con, the break out star of Kidrobot’s Odd Ones Dunny series gets a amazing makeover that will definitely have you seeing red this fall. Made from opaque and trans resin, the marbling technique will insure each Shard is unique in it’s own special way. There will only be 100 available through Scott’s booth #2005, retailing at $60. A small amount will be ready for you early birds at VIP preview night, Man what a pain! You can purchase your DCon VIP tickets HERE.